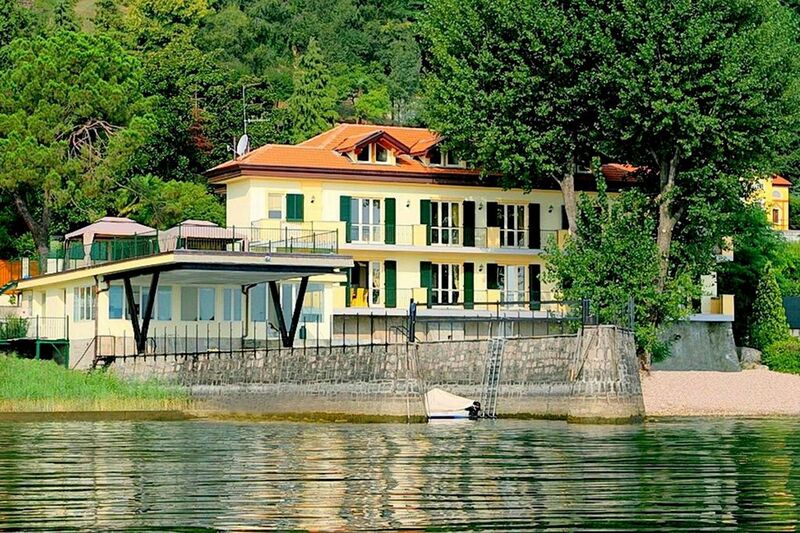 Prestigious, exclusive residence located on the shores of Lake Maggiore, boasting private beach and small port. 9 apartments of varying sizes make up the residence. They are all comfortable and elegant in design, featuring a balcony with lakeside views. The residence is located in Meina, a pleasant tourist location that has been the favourite holiday spot for wealthy families from Novara and Milan since the nineteenth century. The picturesque old centre is located twenty metres above the lake level. The mild and temperate climate and exclusive atmosphere will make this an unforgettable holiday. Apart from the aforementioned private beach and harbour, a wonderful garden-terrace-solarium area overlooking the lake is also available to guests, with pool and breathtaking views. In the surrounding area guests will find golf courses, riding schools and other sporting facilities. The quaint town of Arona is just 3 km away. The residence enjoys extremely good transport links, with Milan Malpensa airport just 32 km away. - On request and to be paid: Boat moorings in private harbour with maximum capacity of 6 boats measuring no more than 7 metres. - Stays of less than a week are available upon request only. This apartment is on the 1st floor and loft and boasts a balcony. Lage an der Straße. Starker Verkehr, dadurch sehr laut. Man benötigt immer ein Auto, selbst zum Brötchen holen.